This is me landing on My Dad’s bed…just kidding. HEY!!! (this is magic) I feel like chewing on the keys…but My Dad will know that it was me…better not. 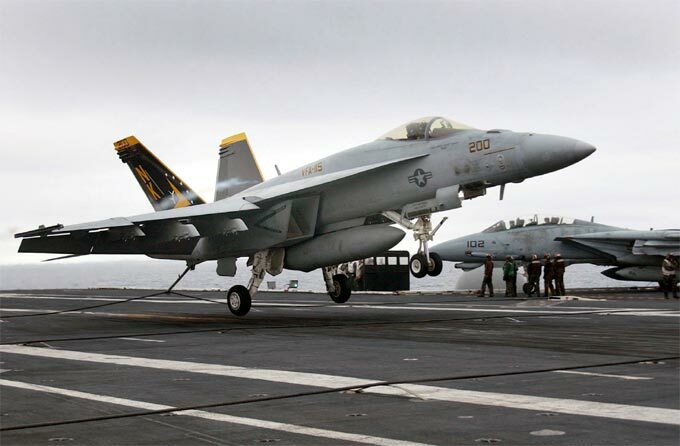 My Dad calls me an F-18 Hornet fighter jet. Why? I am VERY fast and when I run into the bedroom, airborne, I land on My Dad’s king-size bed at full speed…and stop immediately! I can do this over and over and over at night…just before lights out. My Dad seems very amused by this activity. Tuesday night, Brandy, my next door neighbor, stopped by for some drinks and snacks. 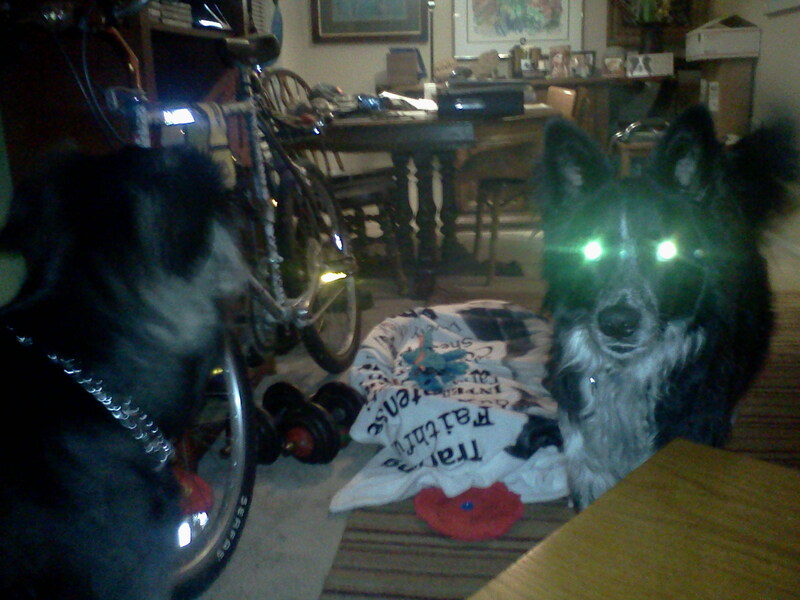 Brandy is a Border collie mix, she outweighs me, but she LOVES me…she lets me kiss her, smell her ears, and we wrestle. She gets me so romantic, my eyes glow this funny green. Brandy and me getting ready to wrestle. 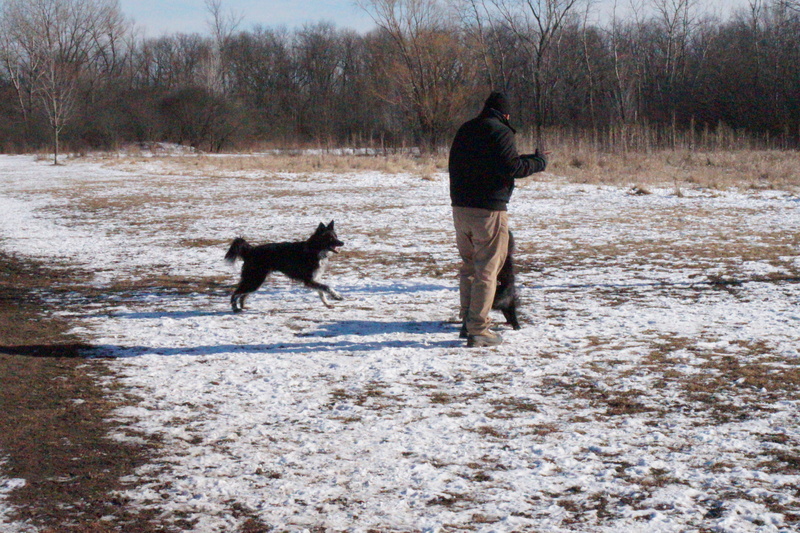 Today, My Dad took me to Prairie Wolf Dog Park, just off Waukegan Road in Lake Forest. I have fun with all dogs and all people. I had a Golden Retriever, German Shepherd, and a Belgian Shepherd chasing me today. I get very forgetful when I am playing with other dogs and their humans…I wander away…but the park is fenced-in and it is easy for My Dad to find me. 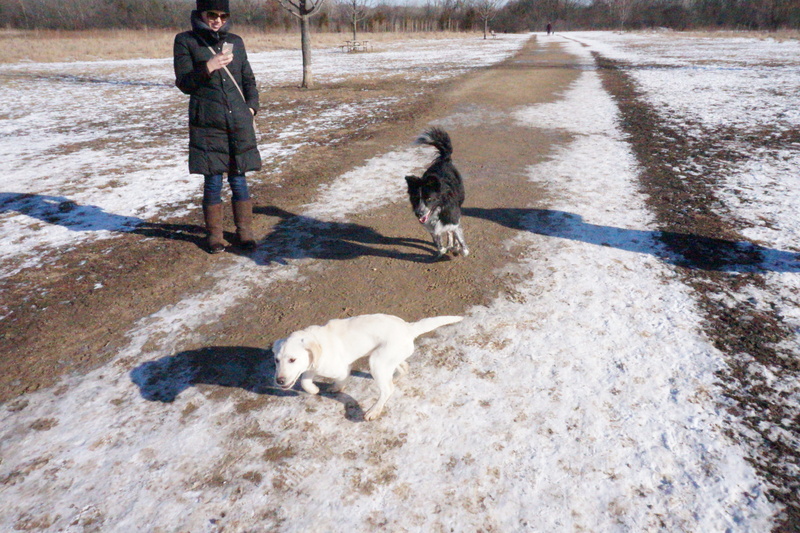 Dog Park…..this is THE DOG PARK!!! HEY! WE’RE GOING TO PLAY…OK? OK, I will be the Border collie and you be the sheep…OK? Frisbee? What is a Frisbee? Sprinting, dodging, chasing, fleeing, wrestling….all in the name of fun! Time for a drink! 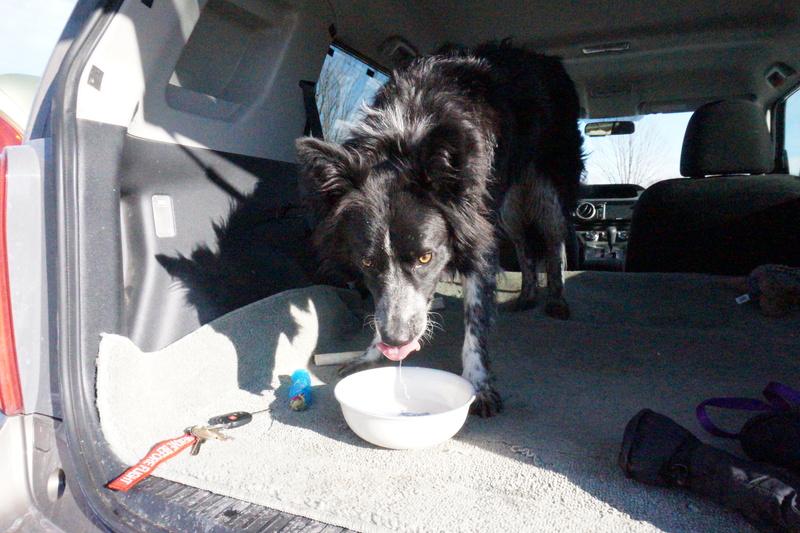 This entry was tagged border collie, border collie rescue, border collies, dog, dog rescue, dogs and people, herding dogs, life with a dog. Bookmark the permalink. Hey Magic – it’s Bob! You had an awesome day! Maybe we can play together – I promise to try and not bite you. 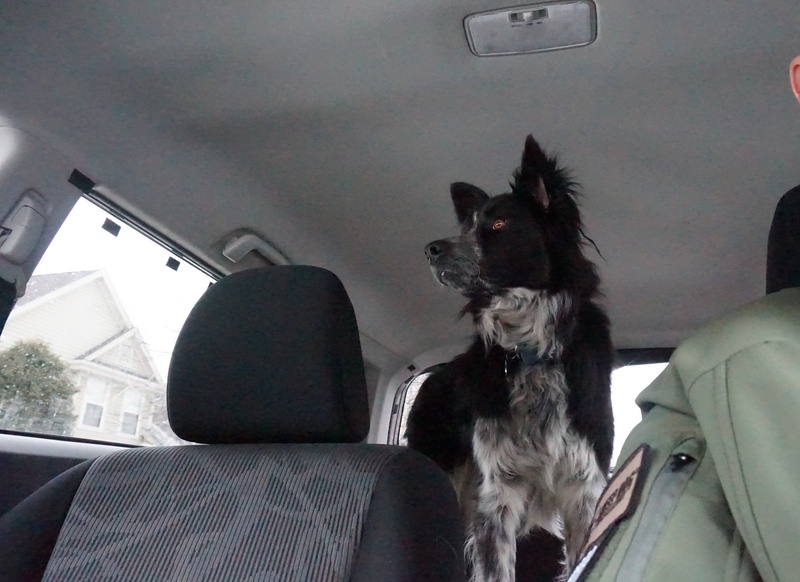 It’s uncanny how much you look like my Border Collie Storm!!! He wrote a blog post for me not too long ago. So glad you guys are able to take over writing for us humans when we are short on time (smiles). Hugs to you handsome boy!